BlackBerry has jumped back into the touchscreen smartphone market with the launch of the BlackBerry Leap. Unveiled at Mobile World Congress in Barcelona, the five-inch, mid-range smartphone eschews the famous QWERTY keyboard in favor of a 1280 x 720 screen. 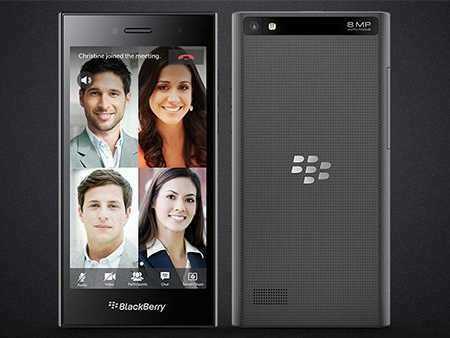 The device runs the BlackBerry 10 OS and features an 8-megapixel camera. It will cost $275 and is set to go on sale in developing markets such as Indonesia and Brazil. It will then roll out to the US and some European markets in April. The main selling points, BlackBerry said, are the Leap’s battery life (the company claims it can last up to 25 hours of “heavy use”) and its security — it has encryption support plus built-in anti-malware protection and a back-up wipe and restore function.